A FREE family art workshop led by artist Charlotte Meldon responding to 'The Swaps and Sinkholes' exhibition on display by Finnish-British artist and illustrator Eleanor Morrissey. 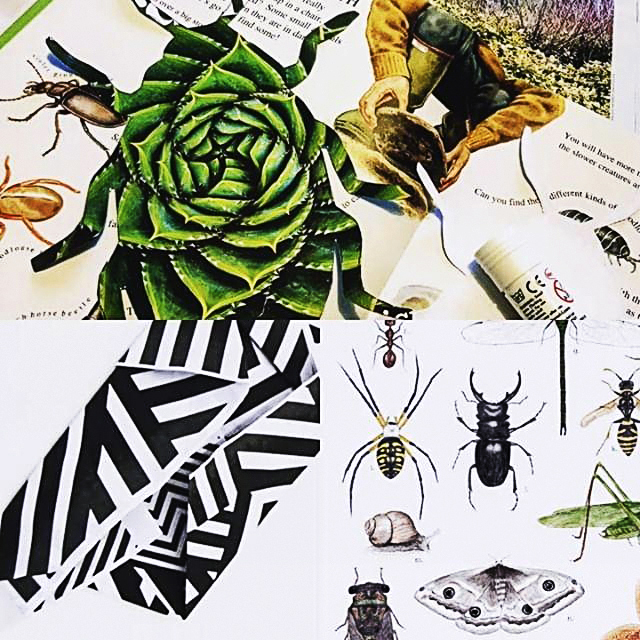 The aim of this workshop is to allow participants to create and camouflage their own bug or creatures through collaging. All ages are welcome, but children must be accompanied by an adult. Feel free to drop in at any point during 3 and 6pm! Charlotte Meldon is a Multimedia, Sculptural and Site Specific artist currently based in Essex. She tends to work within the documentary genre, she mainly focuses on military history, her process involves using archival and hearsay research to use as material. Meldon’s work has previously embedded camouflage techniques used in both World Wars, such as dazzle camouflage.